Happy Halloween, friends! I love that video game developers get in on the fun of the holiday and create special content for all of us to enjoy. Today I read about two particular events, both of which I will partake in. 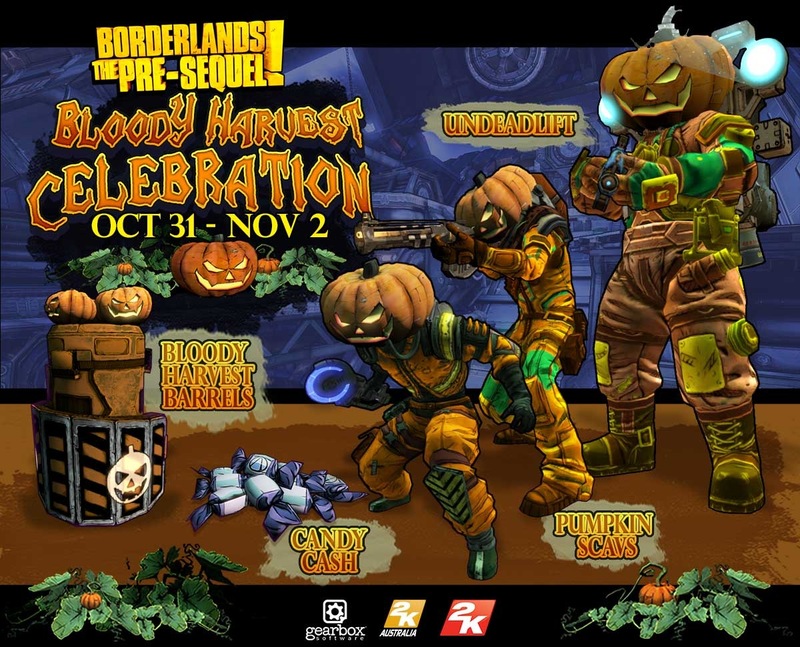 Borderlands: The Pre-Sequel is having a special Bloody Harvest Celebration, which you can read about on the Gearbox page. I think I am most looking forward to seeing all the Scavs with huge pumpkin heads. I wouldn’t say no to a little vault hunter candy, either. In Destiny, there are also special offerings, which you can read about in the Game Informer article. I’ve already donned my Hive-like pumpkinhead and heard all the screams while…you know…killing things. I hope folks out there take advantage of these events! Happy Halloween!